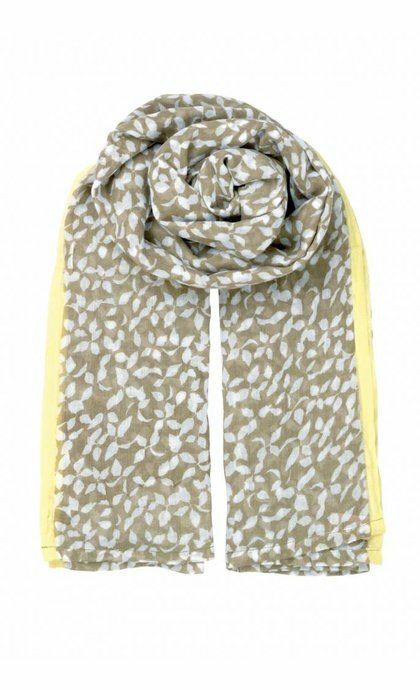 Summer scarf Camille Scarf Swamp from Becksondergaard. 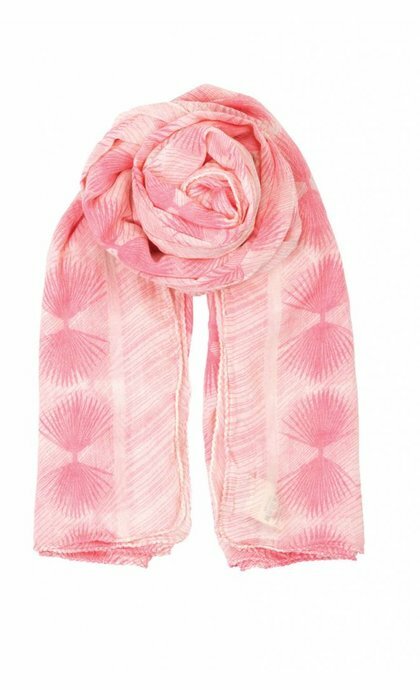 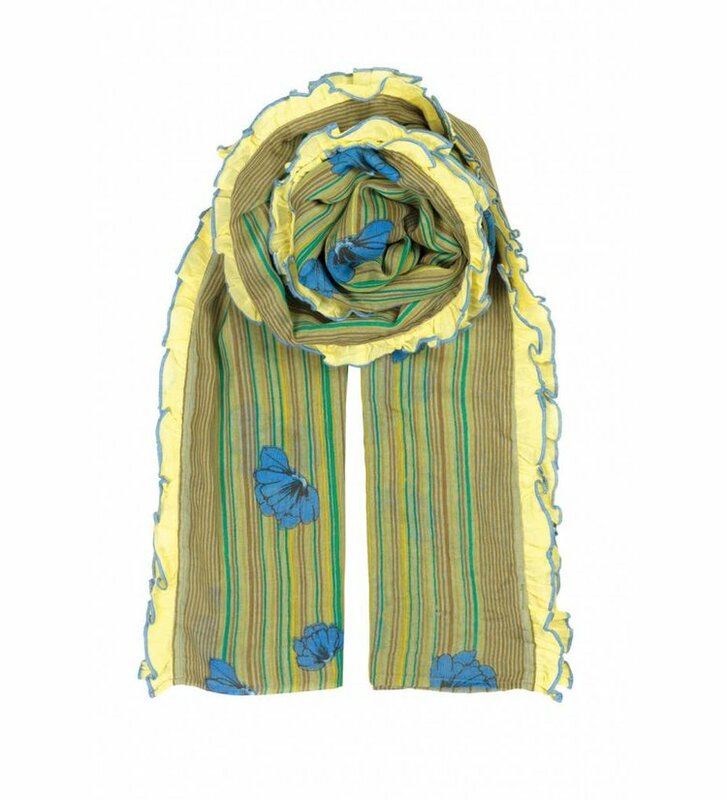 The scarf has stripes in different colours and blue flowers. 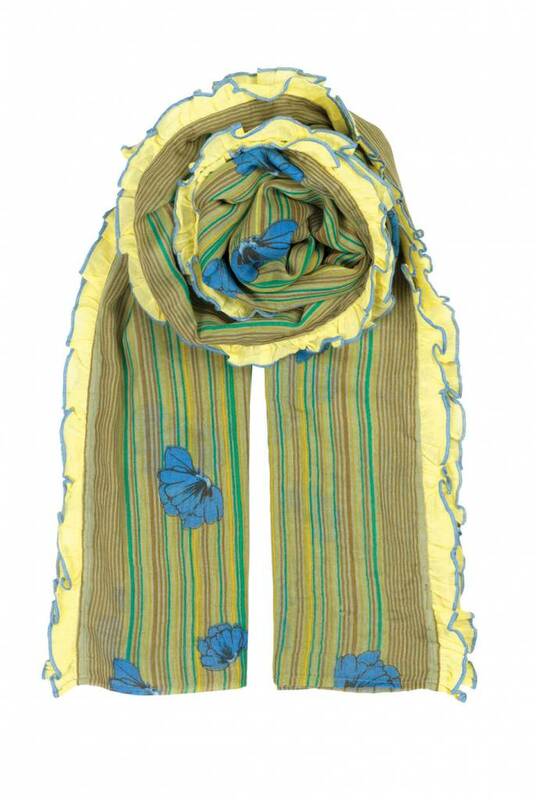 The scarf has yellow piping with frill detail.